Where to start off this post? Let's begin with the very beginning!! So, today my blogger dashboard was showing '1 comment awaiting moderation' which got me all excited since my blog is new, I rarely receive any comments from readers! However, that particular comment was a very special one! When I first read it, I seriously thought that it was a spam! But I decided to check for its authenticity by clicking on a link which featured in the comment and realised it was real! It was real! 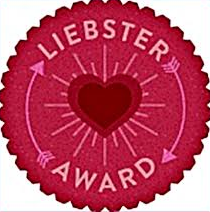 It actually was a Liebster Award coming from Eleni of Imagine Your Homes! She describes in her post that Liebster means lovely, dearest, cute, kind, welcome, beloved etc! And that this award goes to all the new blogs out there that have a lot to show and thus help them be recognised! I am very delighted and grateful to Eleni for choosing Easy Yummy Cookery as one of the 11 blogs for the Liesbter Award! Indeed I have put much effort to bring this blog to where it is, mostly in writing the posts I would say [it just doesn't/never comes easy to me!] and being recognised feels overwhelmingly good! 2. I'd die to visit the Philippines. 3. I dream of a black and grey kitchen! 4. I have a younger sister. 5. Never fallen in love with what I am studying - Finance! 6. Shopping according to me is one of the most delightful thing to do! 7. Agatha Christie's my favourite author. 8. I used to be a vegetarian! 9. I like playing Little Big Planet, yes, I do! 10. I'd rather hear bitter truths than be lied to. 11. Hitch - my dog - is one of the best thing happening to me! 1. How did the idea for the blog come? Ah that is a good question! In all honesty, I was inspired to start cooking/baking by my sister in laws who are terrific at it! So, I began my cooking adventures, baking every now and then. Once, it occurred to me to take pictures of the steps by steps of the Nutella Swiss Roll without having an idea of what I was going to do with them! Probably I was fond of taking pictures or maybe to show my boyfriend who at that time was away! That is how, I welcomed the idea of blogging the recipes of what I cook/bake! 2. From where do you take inspiration about your blog? If only had you seen those beautiful photos of foods on Pinterest! Haha, basically, my inspiration comes from cookbooks and websites alike, or sometimes it simply comes from the mind itself. 3. What would you change from your house? Unquestionably my kitchen! Like I said I dream of black and grey kitchen! 4. Which is your favourite colour hue for your house? I wouldn't mind a minty shade! 5. Which are your hobbies? I love reading, especially, Agatha Christie's books! She's awesome! I like listening to music and dancing like nobody's watching! 6. Do you prefer sea or the mountains? 7. Which are your expectations about your blog? I would really like more traffic to my blog at the moment. Could be the Cooperative Food Magazine. I am not really into magazines! 10. Do you love cooking? I totally love cooking! Especially desserts! Ah yumm! 11. Which is your biggest dream? To be successful and provide for my small family! Ah, I finally did it! 3. Are you cat or dog? 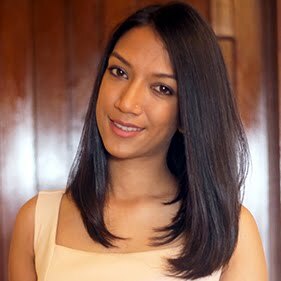 4. Who's your favourite author? 5. What's your dream car? 6. Do you think you will still be blogging in 10 years time? 7. What do your friends think about your blog? 8. If you won the lotto, what would you do with the money? 9. What do you usually do in your free time? 10. What is your favourite cuisine? 11. Which country would you like to visit next? 2)Can I pass this award to all my fellow bloggers mentioned? 3)Will everyone get this award? I am new to blogging and i am quite confused. 1) Basically, you have to firstly write about [in the same post] 11 random facts about you! Then answer the questions that I've set for you, choose 11 NEW up and coming blogs [that is new to blogging and which I haven't given the award to you should link them, the purpose of it is to attract traffic to these new blogs] and finally set your own questions for them! Publish the article. And after that leave a comment on their blog's home page to let them know about the award. 2) You actually have to choose the best 11 new blogs not all of them. 3) No, since you are choosing only 11. Thank you for nominating me!! I just recently posted my responses so be sure to check it out!! Thank you again.